Ken Burns and Lynn Novick’s ten-part documentary film, The Vietnam War (2017), will be the centerpiece for many conversations this fall for veterans, protestors, historians, and others seeking answers to the what, why, and how questions. 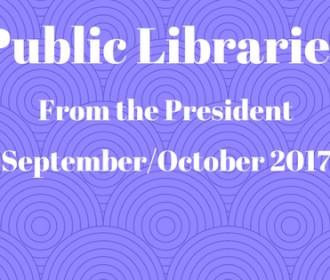 The Public Library Data Service (PLDS) annual survey is conducted by Counting Opinions (SQUIRE) Ltd. (CO) on behalf of the Public Library Association (PLA). 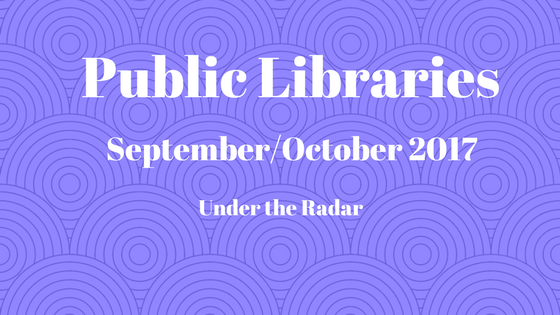 This 2017 survey of public libraries from the United States and Canada captured fiscal year 2016 (FY2016) data on finances, resources, service usage, and technology. Each year PLDS includes a special section. This year the supplemental questions focused on young adult services. Children who participate in canine-assisted reading programs are likely to develop confidence in their reading skills and find reading to be more enjoyable. While there has not yet been an extensive amount of data to be found to prove the effectiveness of children reading to therapy dogs at drop-in library programs, a research study conducted by the Davis Veterinary Medicine Extension at the University of California found that school children who read to therapy dogs on a regular basis improve their reading fluency by 12 percent. Studies that are available on canine-assisted library reading programs have found results for improvements in oral reading fluency and accuracy, along with significant increases in engaged reading time and significant improvements in reading skills, such as the ability to explain, describe, analyze, and infer. Once per month, from September to May, program participants discuss literary powerhouses like Chaucer’s The Canterbury Tales and Garcia Marquez’s One Hundred Years of Solitude. The program is a collaboration between PRPLD, the English department at Colorado State University (CSU), and a local Fort Collins (CO) business, Wolverine Farm Letterpress & Publick House. Graduate students and faculty from the English department are our expert guides, providing background on the author, historical period, significance of the work, and thoughtful prompts for discussion. The program is drop-in and open to all community members. 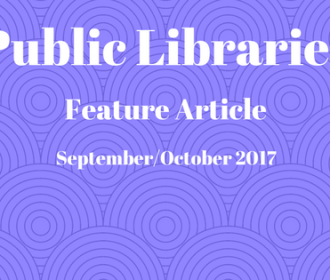 Community access and technology training are crucial components of public library services. 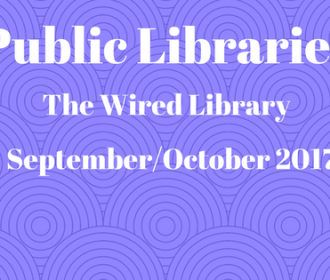 The American Library Association’s (ALA) 2015 Digital Inclusion Survey found that “those who receive formal digital literacy training were significantly more likely to use the Internet to pursue economic opportunities and cultivate social ties.”1 In this context, at Forest Park (IL) Public Library (FPPL) we decided in 2016 to revamp our programming efforts to serve our suburban population of 15,000. Helping patrons effectively use technology to achieve educational, economic, and social goals became our shiny new objective. We were eager to launch a new lineup of programs. However, beyond the many questions and dilemmas inherent in launching a new initiative, I wondered who in the world would facilitate the workshops?